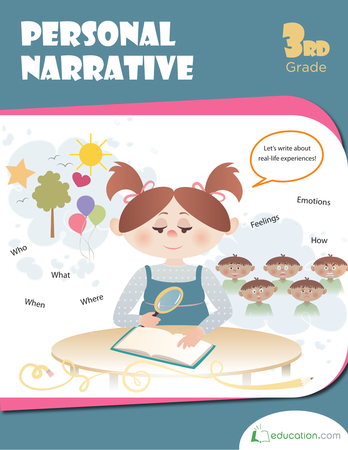 Students will be able to incorporate dialogue into their personal narratives. Tell the class that you are going to tell them two quick stories. Explain that they are going to vote about which story was better. Share one story without dialogue and one with dialogue to show how adding dialogue to stories can be more entertaining. Story 1: I was walking through the grocery store one day with my mom. She saw a cart coming straight toward me, but I didn't see it. I ran right into the cart and landed in a heap on the floor. It was such a disaster. Story 2: I was walking through the grocery store one day with my mom. All of a sudden, she yelled out, "Watch out for that cart!" I was starting to turn around to see what she was talking about, but the cart was coming too quickly. I yelled out, "Oh no! Stop!" as the car came crashing into me. As I landed in a heap on the floor I screamed, "Ouch, watch out next time!" It was such a disaster. Point out that it also helps the listener better understand the characters' thoughts and emotions. Ask the students to vote about which story they thought was better. Have them show a one on their fingers if they thought story one was better and a two if they thought story two was better. 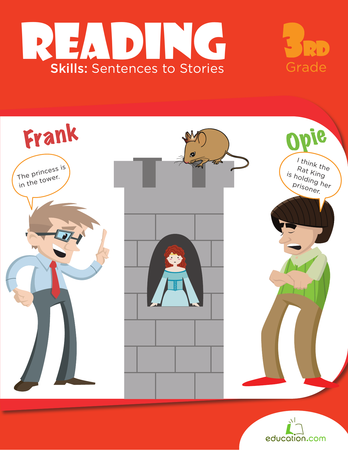 Explain to the class that the second story was much better because the dialogue that was added helped you imagine the story as if you had been there, helped you understand what the characters were feeling, and captured your attention more because of the added details the dialogue provided. That is why it’s so important to add dialogue when writing personal narratives. Check for understanding by having the students turn and tell their neighbour why dialogue is important in a narrative. Right before dialogue is added, you need a comma. Next, capitalize the first letter of the quote. Then, add quotation marks at the beginning of what the character or narrator is saying. 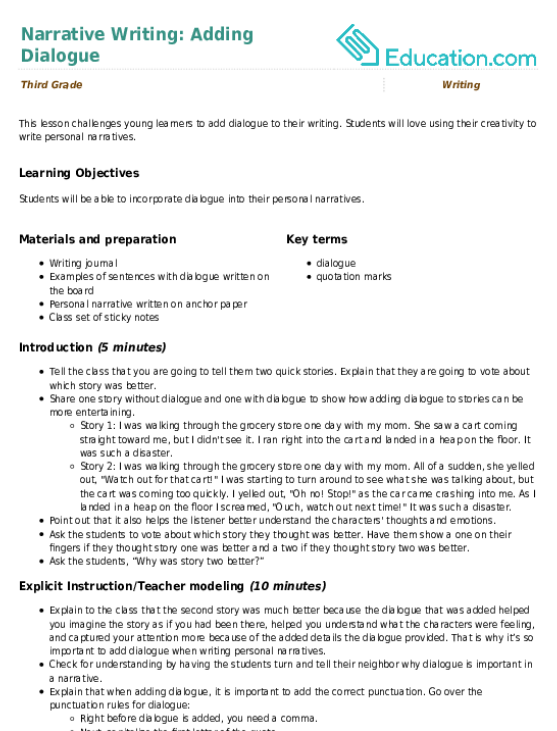 Lastly, add an end punctuation mark, like a period, question mark, or exclamation point, and end quotation marks. Tell the class that you wrote out your personal narrative, but you forgot to include dialogue. Ask them to help you add dialogue throughout the story. Use this example narrative or write your own: “It was day three of the road trip from Chicago to California, and my friend and I were getting tired. We just couldn’t wait to see our best friend when we reached Sacramento, CA. We were already wearing shorts, tank tops, and flip-flops so we would be ready to hit the beach when we arrived. All of a sudden, as our car came around the curve, we saw a sight we couldn’t believe! There was white, powdery snow everywhere! Even though we had been driving through the mountains of California for quite some time, we had no idea it could snow in this sunny state. We quickly realized we were not prepared for this type of weather and weren’t sure what to do next..."
Call on students to help add dialogue to this story in order to let the readers know what the author was thinking, feeling, and to better capture the audience. Have the class think about what dialogue they could add that would really show the characters' reactions to the events. Give students 20 minutes to either write the first draft of their personal narrative (including dialogue along the way) or read through what they might have written already and add dialogue. Enrichment:If you have students who finish early and need an extra challenge, have them exchange stories with other students and give two comments of feedback to each other. 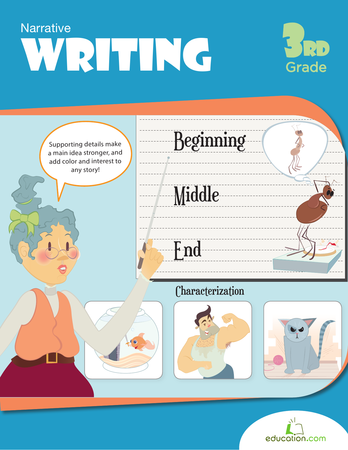 Support:If a student is struggling with writing in general, she might need to draw a picture for each event in the story. Then, that student could write one sentence of dialogue below each picture. Walk around the classroom and conduct mini conferences with students as they work to incorporate dialogue successfully into their work. 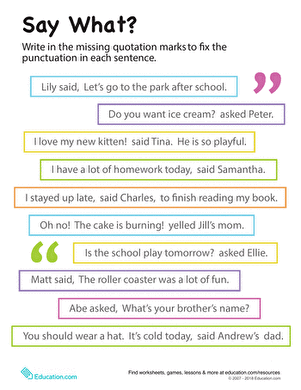 Conduct a quick punctuation check to see if students know how to add the correct punctuation. Write the following sentence on the board: Trevor told his friend You are my best friend. Have students write it down on a sticky note and add the correct punctuation. Instruct learners to identify their favorite place in their narrative that has dialogue. Call on one or two volunteers to share with the class. Remind the class that our writing should include dialogue because it provides a lot of information to the readers. It is a powerful way to convey characters' feelings, thoughts, reactions, and actions. Dialogue moves narratives along and can add much-needed drama to otherwise stagnant writing. In this worksheet, students get a chance to practise writing dialogue to add to their personal narratives.